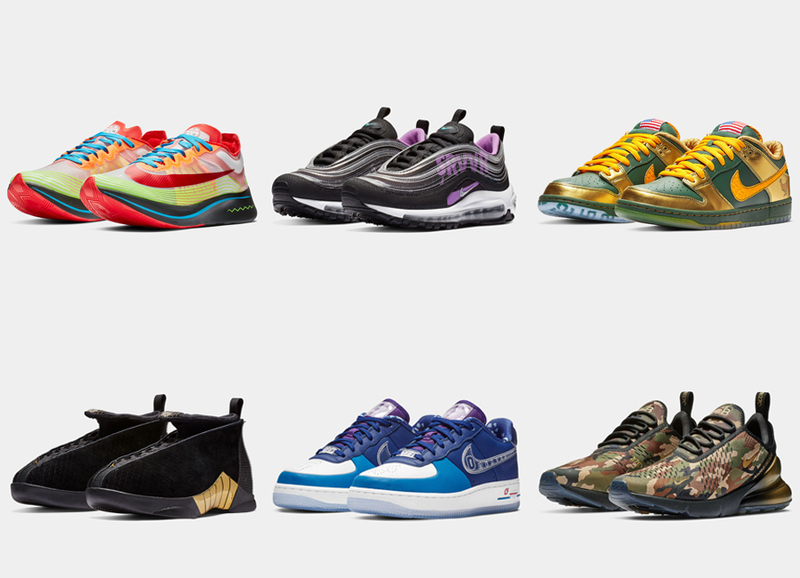 The Nike Doernbecher 2018 Collection has been unveiled, designed by six young patients of the OHSU Doernbecher Children’s Hospital in Portland, Oregon. This year’s Nike Doernbecher Freestyle patient-designers are Chloe Swientek designed the Nike Air Force 1 Low, Donovon Dinneen, designed the Air Jordan 15, Joey Bates designed the Nike SB Dunk Low, Kirsten Brown designed the Nike Air Max 97, Aiden Barber designed the Nike Air Max 270, an Payton Fentress designed the Nike Zoom Fly. Each release will come with matching apparel and accessories all designed by the kids taking part of this collection. Look for the Nike 2018 Doernbecher Collection to release in adult and youth sizes on December 14th at select retailers and Nike.com. The full apparel collection will launch December 15th.